As a student entering my last year of formal theatre training, the questions of “what will you do” and “what are your hopes” are coming faster than they had before. And the answer seems to be obvious to me; find work and continue looking for and creating opportunities. However, the how to do this seems like a smudge in the metaphorical instruction manual. No two artists have the same journey, even within school. When leaving school there isn’t a how to list handed out with the degree, and honestly it already feels overwhelming. But forward we must go! I recently interviewed and emerging artist located in Edmonton, Alberta. She is an actor and playwright that graduated from the University of Alberta’s BFA programme in 2016. Her name is Jessy Ardern. I came into contact with her while looking for a play to produce and act in as my final project for my theatre studies, and was drawn to her script, Prophecy, for its rawness, honesty, and compelling characters. The idea of getting to support a local, female playwright is also exciting. This is not to say that Jessy has not been working as an artist; she has somehow been able to find a balance that allows her to take and create opportunities in the arts since leaving school. As both a playwright and an actor, she expressed that having multiple skill sets was useful, as it allows her to be in practice with one when the other is not currently in focus. Jessy has been busy working with fringe festivals as both and actor and playwright. 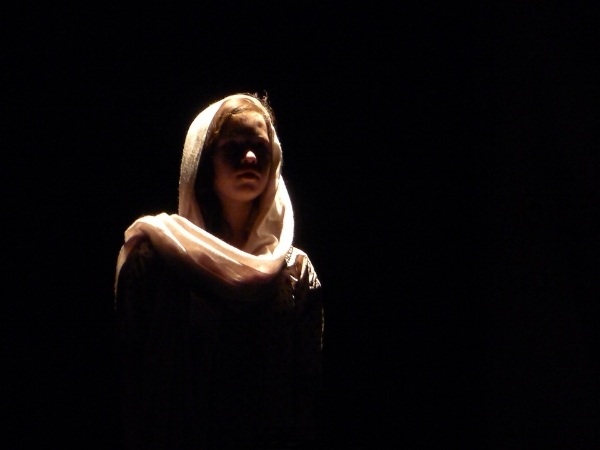 Her play, Prophecy, that I initially contacted her about, was produced by Impossible Mongoose at the Edmonton fringe festival last year, winning multiple awards for the production. The company’s artistic director is a classmate of hers from the U of A, and she emphasised the importance of connections, even when still in school. And Jessy is contributing to the shift, writing strong renditions of women like Cassandra and Hecuba in her script about the Trojan War. She is both creating work for herself, and other women in the industry. This is something that, as a soon to be emerging artist, inspires me. Creating opportunities, risking saying yes to what comes along, and developing a strong practice that will carry past school may not be an exact science that looks the same to everyone, but they seem like concrete places to start. So take a risk, learn something new in the process, and be willing to do the extra work it takes to cross the gap between school and the industry. And keep courage, as hard as the road may be there are always possibilities. This gives me a sober look at leaving school, but also a hopeful one. Prophecy by Jessy Ardern will be produced in a new staging by The Voiceless Project November 24-26, 2018 in Rosebud, Alberta. For more information contact Mikayla at prophecy.bookings18@gmail.com.